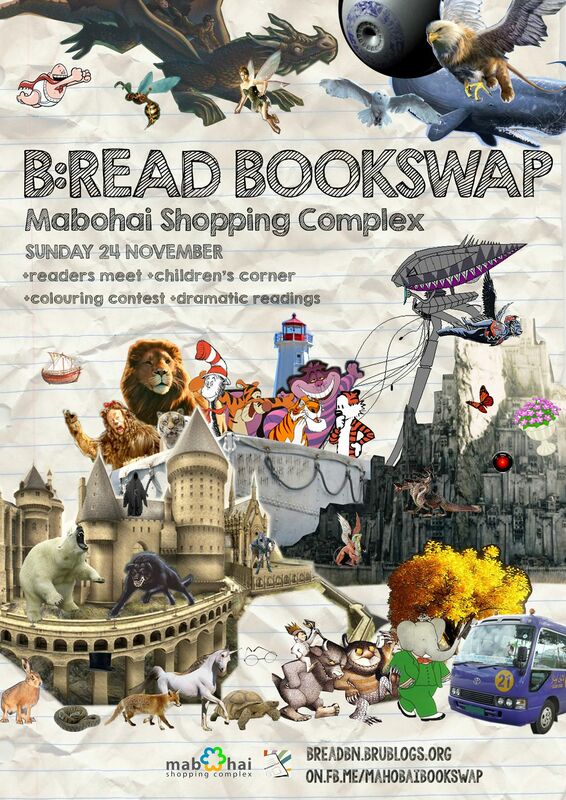 B:READ is pleased to announce that our next bookswap is happening is less than two weeks, on Sunday 24th November 2013, from 11 am to 6 pm, at the Mabohai Shopping Complex! This entry was posted in Announcements, Bookswaps on November 13, 2013 by mohamednazmi. Last month we held a book meet, where we met other book lovers and discussed our favourite books. We’ll also be holding a book meet next week on Saturday, 7th April 2012 from 7:30 PM onwards at Au Lait in Kiulap. For more details, check out the Facebook event page! This entry was posted in Event Write-ups on March 28, 2012 by mohamednazmi.